Classic but perfect, gemmy and esthetic. No faults on the specimen! 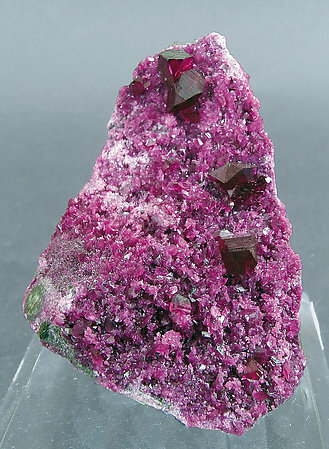 Perfect gemmy crystals separately placed on their matrix. 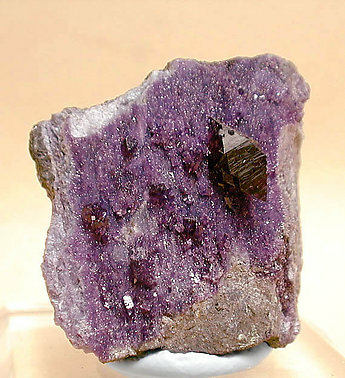 They are hard to get as perfect as this one, especially considering the mine is at the end of its working life. 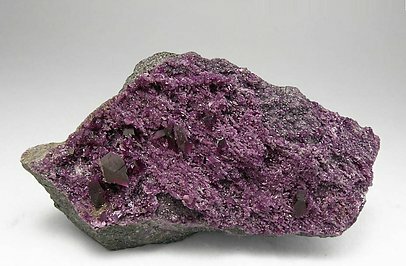 Very well defined and deep-colored crystals on a matrix coated by a layer of very small crystals of the same Kämmererite. Good sample for this rare chromian variety of Clinochlore. 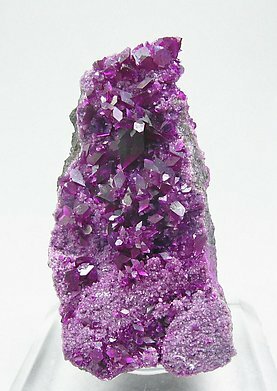 The crystals have an excellent, very deep, color. They have very well defined faces and edges, without exfoliations and on matrix. 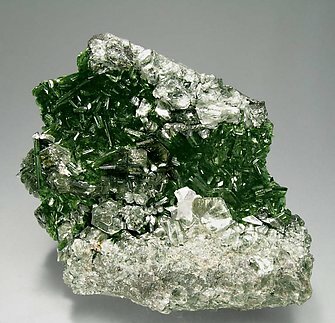 Group of Clinochlore crystals, from laminar to tabular, well defined, excellent green color, very bright and on matrix. Color and brilliance are really exceptional.